As a Premier Member, you’ll benefit from exclusive access to qualified leads on a weekly or daily basis, delivering a rich stream of new business opportunities to your organization. One of the keys to growth for any MSP is getting new clients on board. 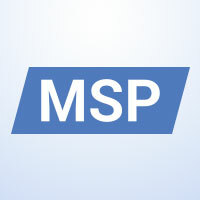 The MSP Consortium runs several programs to discover potential clients and connect them to suitably qualified members. Leverage other MSPs skills to increase your sales and enable new service areas. The MSP Consortium aims to help you convert prospects into clients. Becoming a MSP Consortium member enables you to pool talents with other MSPs and expand your business into new areas. Our skill exchange program allows you to draw on the talents of thousands subject matter experts and qualified technicians in order to deliver the solution your client requires. Fill in the gaps and expand your business. The MSP Consortium can help your business close more deals by providing your customers with easy and straightforward financing should they need it. Not only will you get business that might otherwise have slipped away due to lack of funds, you’ll also receive commissions on each referral. Single Financing Source – with an “agnostic” view of the equipment world. Most clients purchase equipment, software and services from multiple manufacturers. We offer a single source for all of their equipment and managed service financing requirements. Protect Your Margin – DDI works with our partners to take the focus off of the sales price and on to the lease - and wherever possible protect our partner’s profitability in the transaction. Flexibility – Unlike other leasing companies DDI takes a “hands on” approach to each transaction. We work with our partners to help find an ideal solution for your transactions. Upgrade Equipment Before the End of the Lease - We encourage upgrades and will give your customers the financial flexibility to do so. Our customers typically speed up the pace of upgrades - in part because DDI works with our partners to justify equipment upgrades with minimal impact to the customer’s monthly rate. Sales Support – Does your customer have financing/leasing questions? DDI can become and extension of your sales team via phone and in person to identify the customer’s needs and help close business. Our support does not stop with the sale – DDI’s operations team is there to answer all post-sales questions.